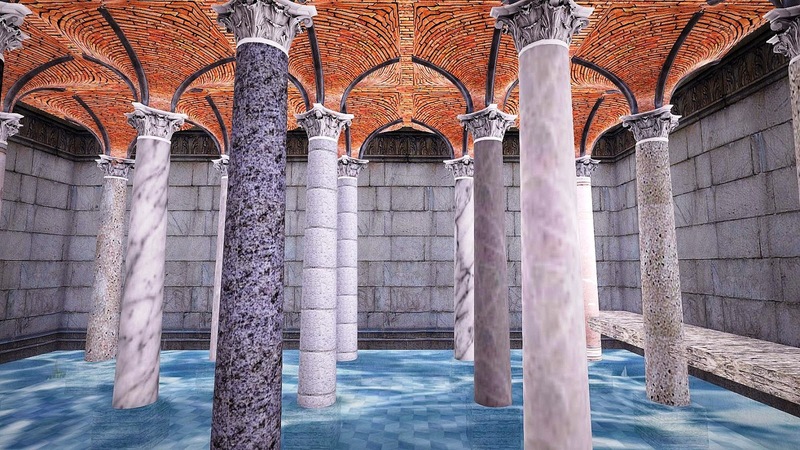 Antiochia is a new (for 2015) destination in Second Life that is inspired by the ancient city by the same name in the Byzantine Empire. in the year 600 AD. Antiochia is the Second Life campus of the Antiochia Scholarships Trust, a non-profit helping Middle East students attend Canadian universities. 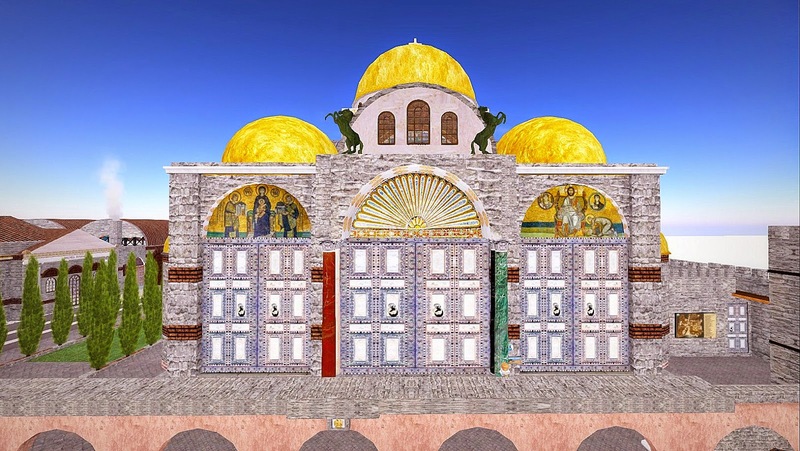 Antiochia (or Antioch) one rivaled the legendary Byzantine capital city of Constantinople (now Istanbul) for its beautiful art and architecture. It is famous for its role in development of Christianity and is mentioned many times in the New Testament. You can find out much more about Antiochia, one of the main cities of antiquity in the Hellenic, Roman, and Byzantine Eras. history by visiting the interactive exhibits located around the sim. 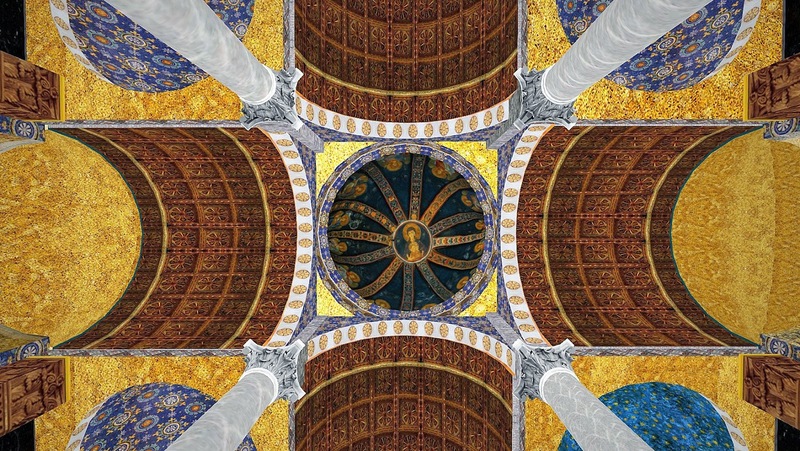 The centerpiece and must-see destination on Antiochia is the magnificent Redemption Cathedral- which is actually a virtualization of Hagia Sophia, the Church of the Divine Wisdom in Istanbul. 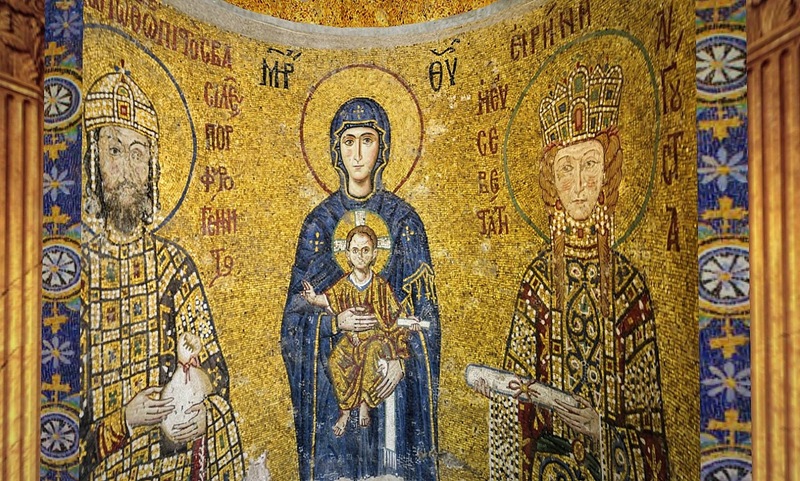 Hagia Sophia, currently a museum in Istanbul, served as the mother church of the Byzantine Empire from the date of its construction in 537 until 1453, when the City of Constantinople fell to the Ottomans. Hagia Sophia, the largest structure in the world at the time of its completion, was then remodeled into a mosque. 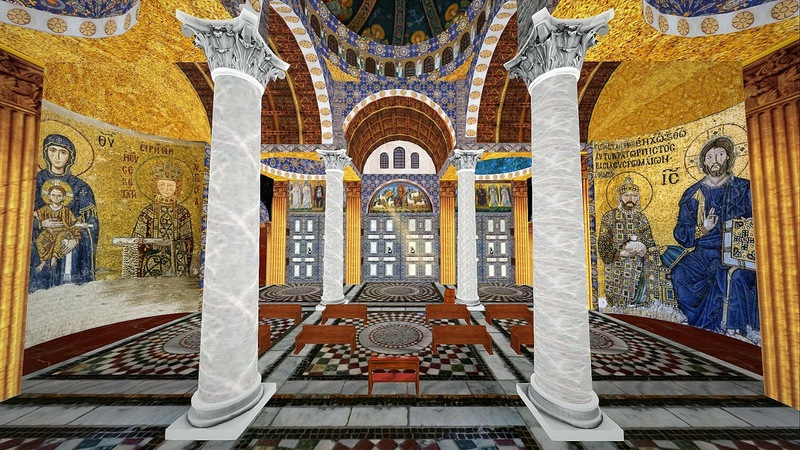 The Second Life virtualization of Hagia Sophia restores the huge frescoes and mosaics and gives us an idea of how beautiful this building appeared for its first 900 years. 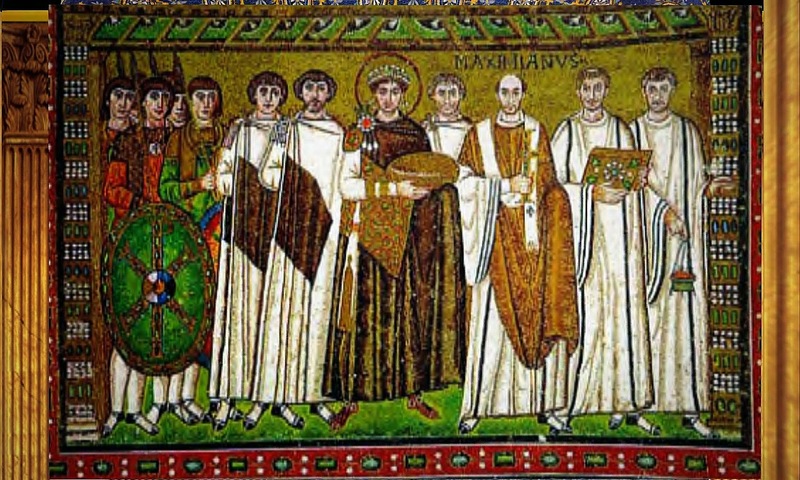 Traces of the original mosaics can be found in the current museum. 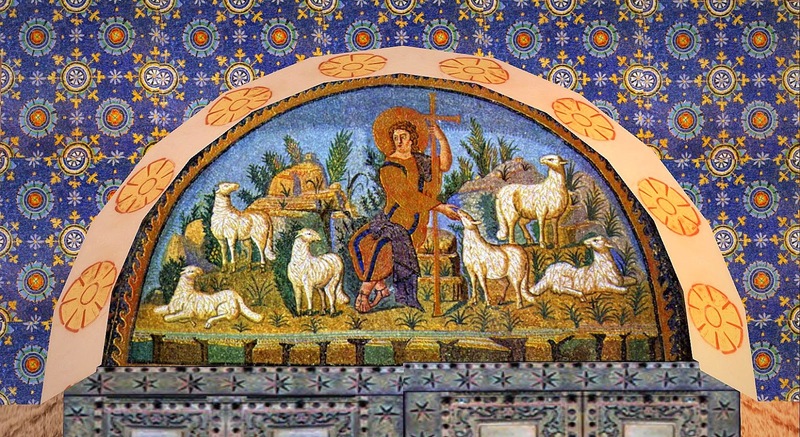 I show some of the restored frescoes and mosaics below. 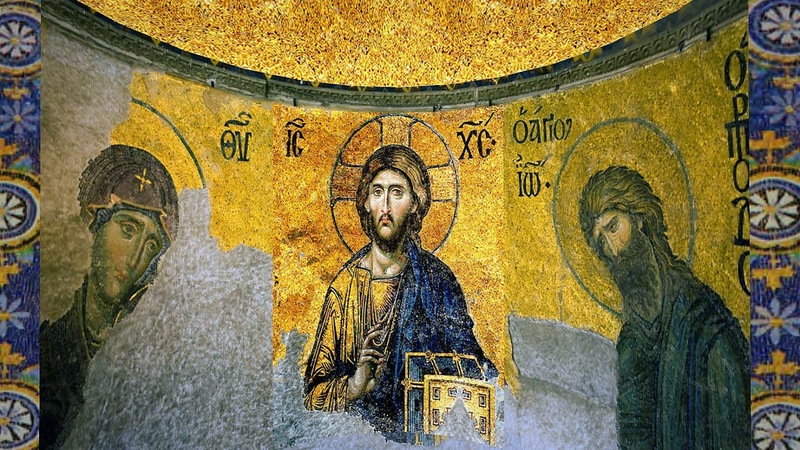 Hagia Sophia, and the City of Antiochia, are must-see destinations and highly recommended for a visit.